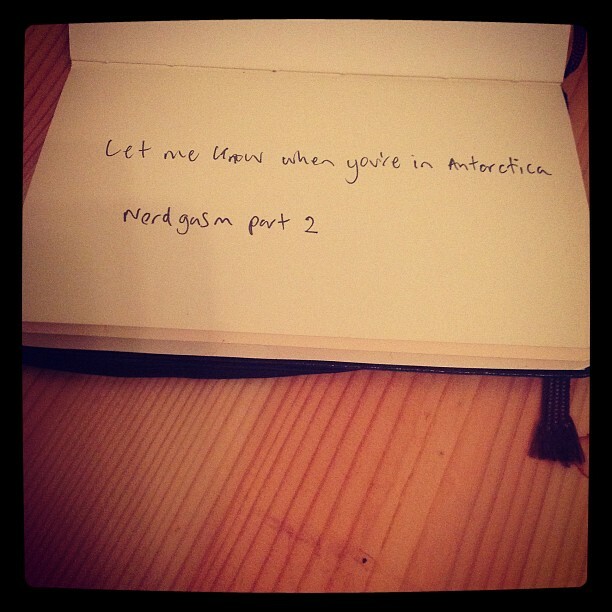 Let me know when you’re in Antarctica – Nerdgasm, Part 2. But, if you want to know where I’m playing, then I send out a gig list every month to my subscribers. Plus free lessons. Ever wanted to know if I’m playing near you, so you could arrange a lesson, or just wanted to see at a glance if I’m playing in your town? That’s why I made this splendid map. I was trying to figure out how to take the RSS XML feed, or the Ical feed from the GigPress plugin on my gigs page, and turn it into a Google Map. Ideally, I’d have a permanent link on the site that I could point people to, so when you click the link you get a map of all my gigs that’s always live. I think I’d have to do some kind of XSLT transformation to get the RSS into a form that could get read by Google Maps, or some other map reader. But the best I could do, after fiddling with Yahoo Pipes and a million other things, was to subscribe to my gig page RSS in iCal and then export that data to a CSV file. That then gets imported into Google Fusion Tables, and that serves up the map. It would be nice to have it all automated, too. Also, if this map is too tiny, you can have it fill the browser by clicking here. You could see if I’m playing in Japan anytime soon. This is all out of date now. So, how might this useful for you?